Spain, 30 euro, 2014. 400th anniversary of the death of Doménikos Theotokópoulos: 'El Greco'. 5 and the letters CBS. 10 and the letters CBS. Great fotos! It is very difficult to capture latent images well. RMB = Ren Min Bi, people's money. 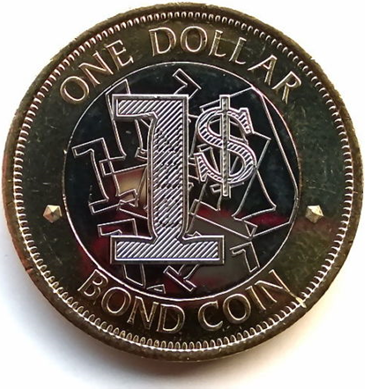 Zimbabwe $1 Bond coin 2016. Inside the 1 there is a latent image that shows either ONE or RBZ (Reserve Bank Zimbabwe). And while it is not quite there yet we could already add the new £1 coin from the UK. A latent image that shows either the digit "1" or the pound sign. 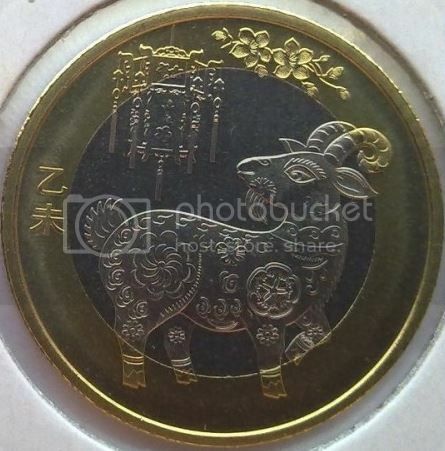 Singapore, $5. Image courtesy of forum member Pabitra. 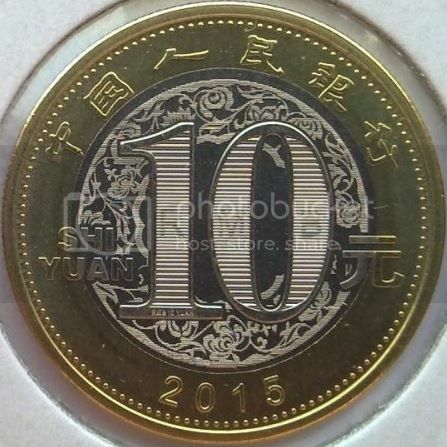 But where is the year on this coin?